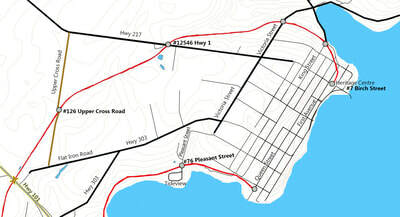 The Municipality of the District of Digby is currently in the process of applying for a letter of authority from the Department of Lands and Forestry to manage and maintain 41.5 km of former railbed as a multi-use trail for walking, ATVing, cycling, horse riding, skiing and snowmobiling. 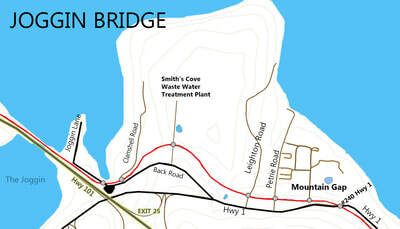 please see our blogpost: Opening for trail bridge. 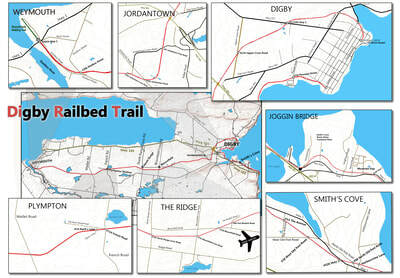 Follow this link to read the Digby Railbed Trail plan. 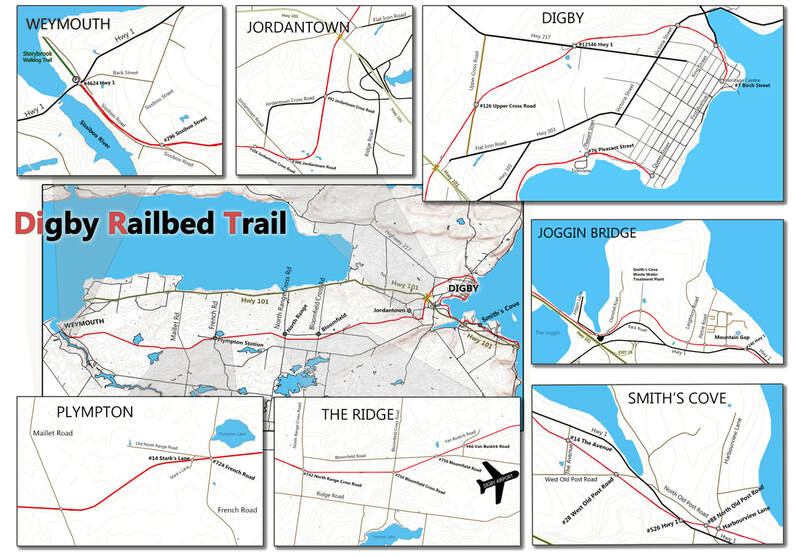 If you any comments, questions or concerns, please contact trail coordinator: Jonathan Riley at jriley@municipality.digby.ns.ca or (902)245-2861. 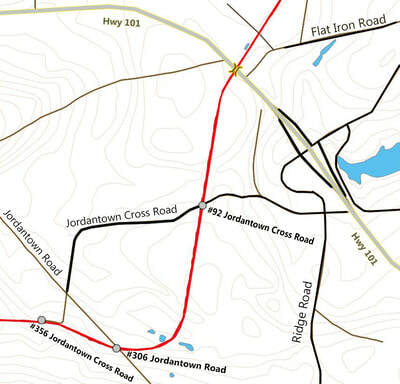 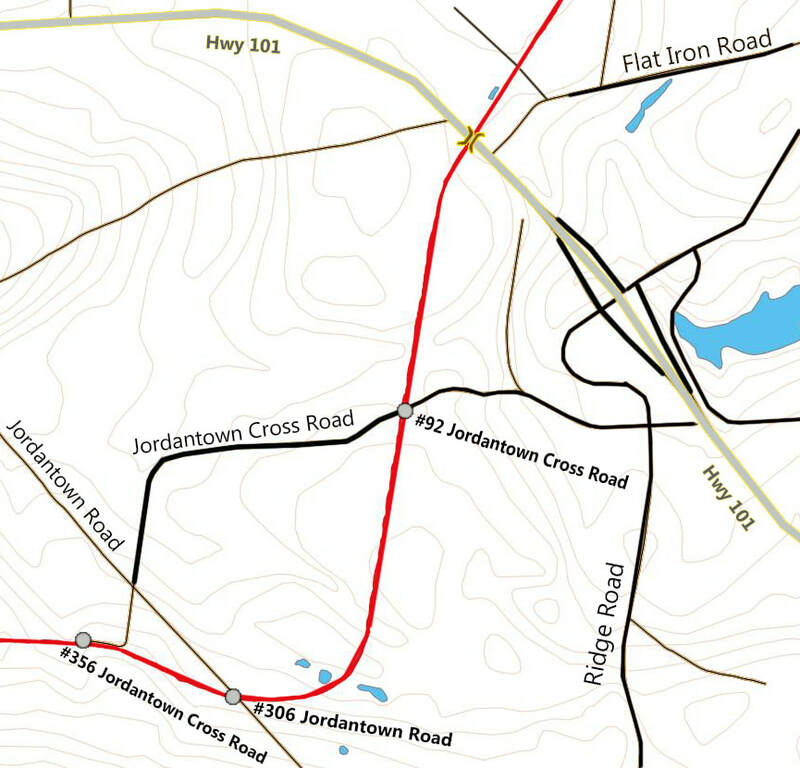 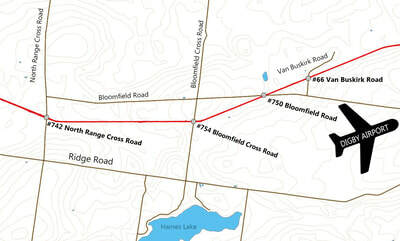 See the gallery of railbed maps below with blow ups of crossings and access points. 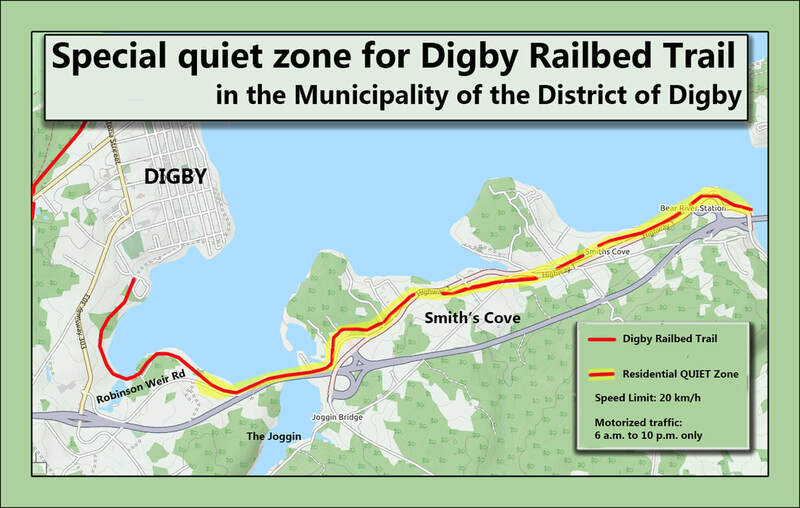 The Municipality of the District of Digby intends, when they receive the Letter of Authority from the Department of Lands and Forestry, to designate RESIDENTIAL QUIET ZONES for all of the railbed within Smith's Cove and the easternmost section of Robinson Weir Road. The Municipality will be setting special speed limits and time of day restrictions for areas of the railbed where people are living near the trail; in particular at the eastern end of Robinson Weir Road and all of Smith’s Cove (east of the Joggin). 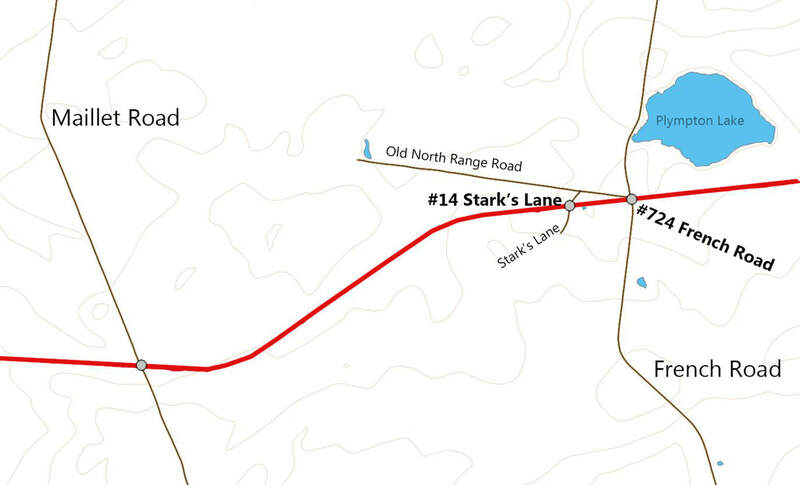 To allow residents peace and quiet at night, off-highway vehicles will only be allowed on those sections between 6 a.m. and 10 p.m. While the general speed limit on the railbed will be 50 km/h, it will be 20 km/h at the eastern end of Robinson Weir Road and all of Smith’s Cove (east of the Joggin). 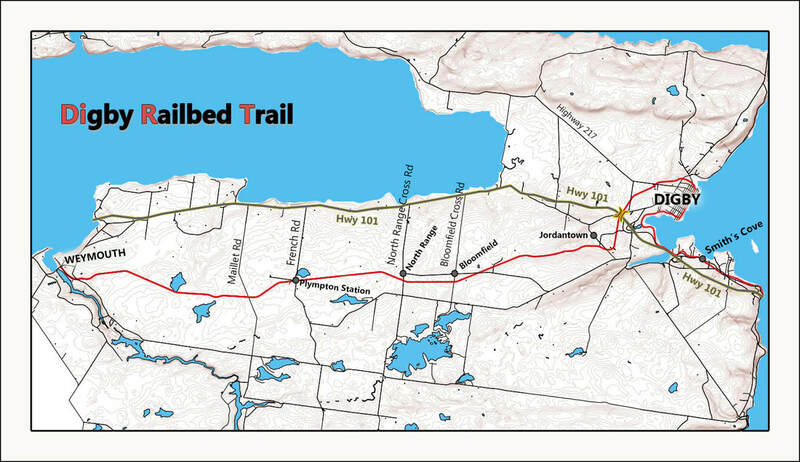 Riders should also slow to 20 km/h when approaching and passing others anywhere on the trail. 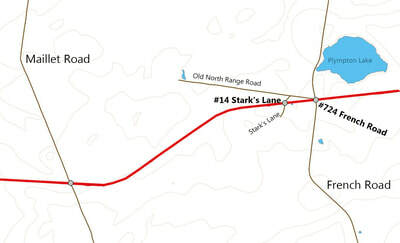 With horses, ATVANS recommends removing your helmet and calmly saying hello. 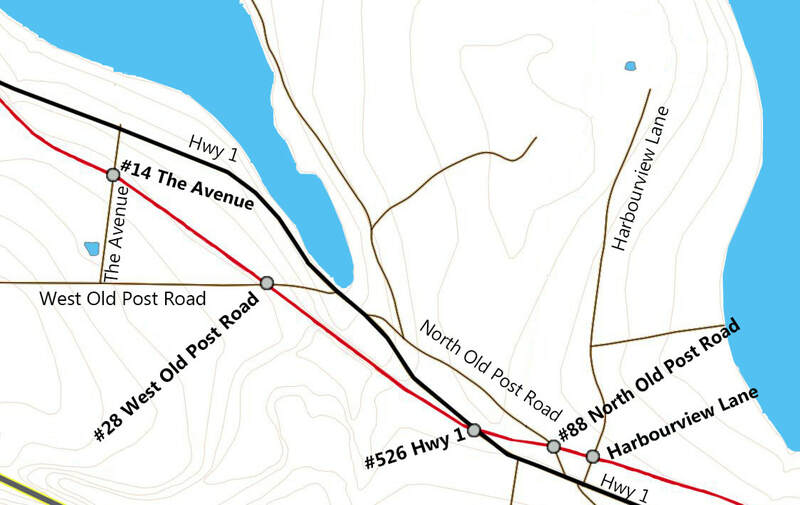 The Digby Railbed Trail ends at the Bear River and the pilot project does not apply at Bear River. 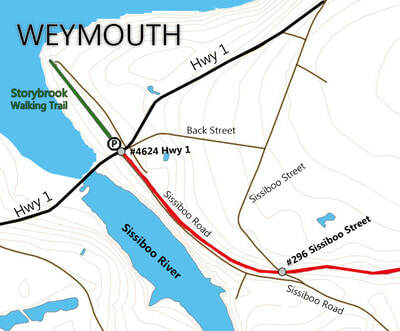 It will remain illegal to access Hwy 101 at Exit 24 and to drive across the bridge to Deep Brook. 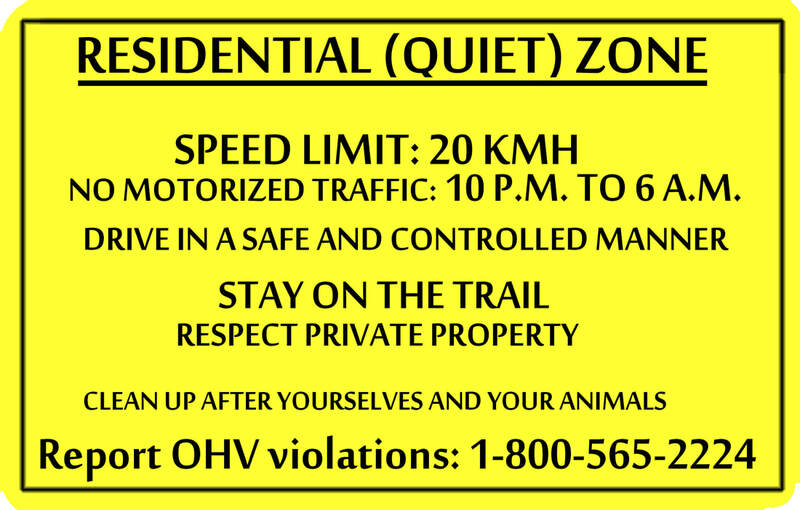 Please report all OHV violations to the 24-hour provincial line: 1-800-565-2224. For more information on ATV trail etiquette, please see the website of the ATV Association of Nova Scotia (ATVANS.org).